WHO LET THIS COMMIE MUSLIM THROUGH THE DOOR? In 2012, John Brennan leaked information to former counter-terrorism officials, who retained a security clearance, about an underwear bomb-making plot in Yemen. Brennan revealed to these former officials — turned talking heads — that the underwear bomb plot never threatened the U.S. “because Washington had ‘inside control’ over it,” according to Reuters. After Brennan’s briefing, one of the call’s participants, Richard Clarke, went on ABC and broadcast the government implying that there was a Western spy inside the Al-Qaeda in the Arabian Peninsula bomb-making group. John Brennan’s careless leak to former intelligence officials turned television commentators helped compromise an operation and risk the life of a double agent, and who knows what other objectives it also hindered or outright prevented. This is exactly why former intelligence officials who are now talking heads on television should not continue to have a security clearance. 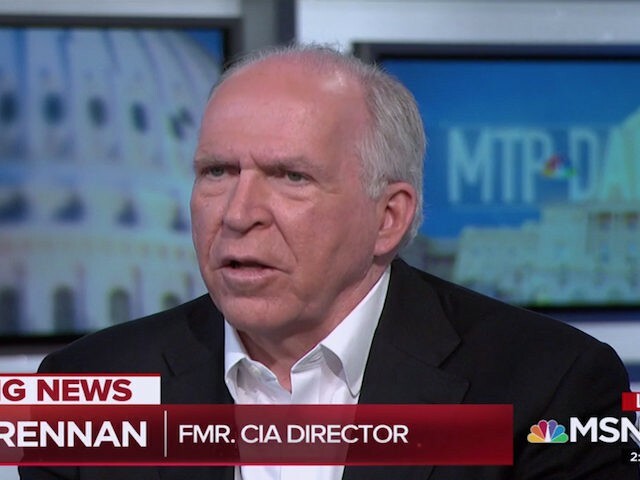 Allowing people like John Brennan and other retired intelligence agents to have a security clearance and appear on television presents a danger to operatives in the field, and it’s a danger we can avoid. Rand Paul, a Republican, is Kentucky’s junior U.S. senator.